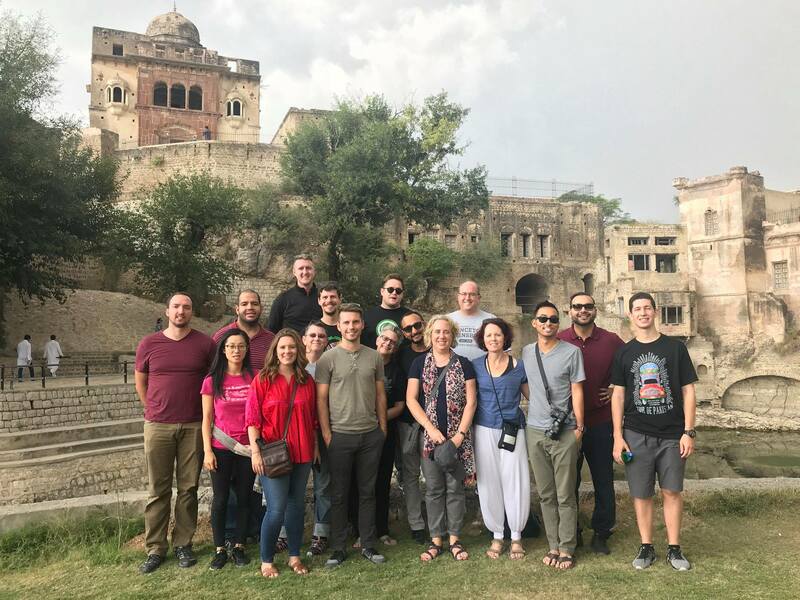 Each year, fall brings with it a palpable excitement among students, parents and counselors, as they prepare to attend the second leg of the biannual South Asia Tour organized by EducationUSA in Pakistan. The tour provides a unique opportunity for students and counselors to interact with U.S. university representatives and get first-hand knowledge about the admission process, scholarships, academic programs, and more. 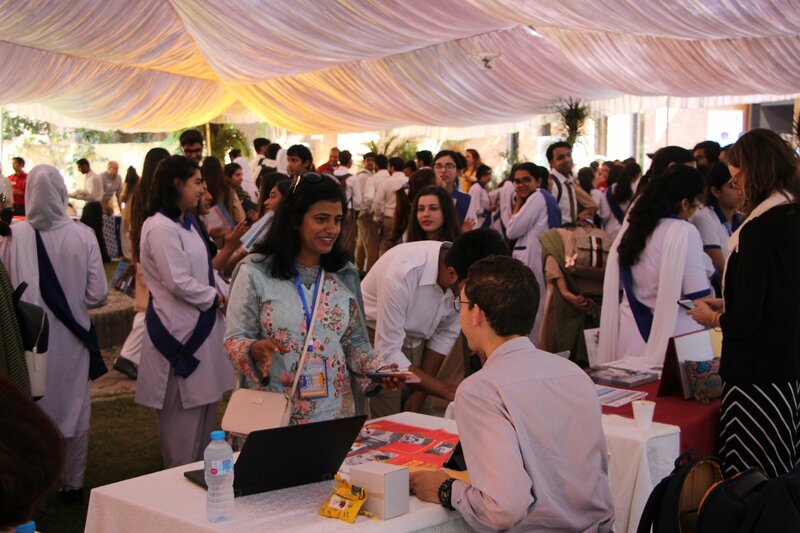 In fall 2018, USEFP hosted the 13th biannual South Asia Tour, the largest yet, with 37 university representatives coming from the United States to visiti over 30 educational institutions in Islamabad, Lahore and Karachi and interact with more than 8,000 students, parents, and counselors from across Pakistan. Of the 37 U.S. universities represented, 17 were visiting Pakistan for the first time. It is a testament to the popularity of the tour that since its outset, the scale has tripled from just 11 universities in 2011 to 37 in 2018. U.S. Consul General in Lahore, Colleen Crenwelge, while speaking about the success of the tour, said, “Every year the number gets bigger and bigger, so, it’s great to see so many universities talking to so many fantastic, intelligent, bright and motivated Pakistani students; we are hopeful that they all will study in the United States.” The 10-day tour, held between September 30 and October 9, included a College Fair, university and high school visits, and the High School Counselors’ Academy in Islamabad, Lahore and Karachi. This year’s tour also featured a special graduate session for visiting representatives who were recruiting masters and doctoral students. This session was organized in collaboration with the Higher Education Commission (HEC) Pakistan. Through the U.S.-Pakistan Knowledge Corridor Ph.D. Scholarship Program, the HEC funds travel and living expenses of doctoral students, provided they secure a full-tuition waiver from a U.S. university. The session began with a meeting between HEC senior officials and U.S. university representatives, where they discussed possibilities for greater collaboration between American universities and Pakistan. The meeting then transitioned into an informational session for prospective students. University representatives spoke about the application process for both master’s and doctorate level students. They also covered what makes a strong application for graduate level study, how to find scholarships and what academic opportunities are available. 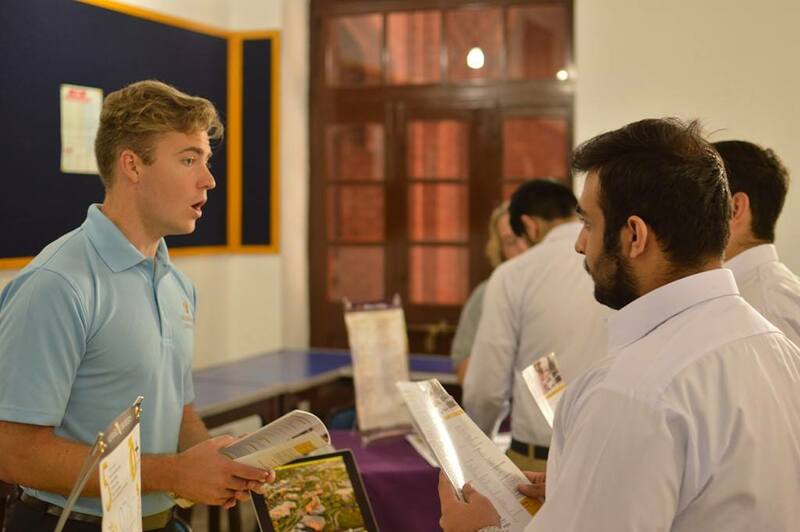 As in previous years, the South Asia Tour also hosted a College Fair in all three cities. The College Fair is a big attraction for students as well as their parents, as it provides them with the opportunity to interact directly with the visiting representatives and learn more about admissions, academic and campus life at each institution. “The U.S. Embassy was pleased to support this opportunity for students to meet in person with representatives of a wide range of U.S. universities and to discuss their study plans,” said Christopher Fitzgerald, the Minister-Counselor for Public Affairs at the U.S. Embassy, who was present at the College Fair. “Building enduring bonds between the American and Pakistani people is the strength of the bilateral relationship. Studying in the United States, learning from classmates, and educating them about Pakistan’s culture is an enriching and life-changing experience, as well as a positive way to create life-long connections.” A representative from Indiana University – Purdue University Indianapolis, Katherine Dobson, said that Pakistani students truly surpassed her expectations, not only in their academic achievements and their level of preparation, but also in their enthusiasm, curiosity and eagerness to learn. “We are pleased to be able to say that a record number of participating universities are participating in the South Asia Tour this fall,” said USEFP Executive Director Rita Akhtar. “It shows that U.S. universities are more welcoming than ever of students from Pakistan. It is also a vote of confidence in the quality of Pakistan’s student population. We constantly hear praise from such representatives that Pakistani students are talented and well-prepared for study in the United States.” The visiting delegation featured representatives from University of Iowa, University of Colorado Boulder, Valparaiso University, Ohio University, California State University, Chico, Boise State University, Colby-Sawyer College, NYU Tandon School of Engineering – Graduate Admissions, Merrimack College, Albion College, New York Institute of Technology, Kent State University, Wabash College, Louisiana Tech University, University of Illinois Chicago, Monmouth University, University of Bridgeport, Indiana University-Purdue University Indianapolis, Coe College, Fordham University, The University of Texas at Arlington, College of Engineering, Siena College, Kansas State University, DePauw University, Western New England University, University of Missouri – Kansas City, Western Kentucky University, State University of New York (SUNY) Plattsburgh, Minerva at KGI, State University of New York at Fredonia (SUNY), Michigan State University, Shoreline Community College, Florida International University, St. Cloud University, Pittsburg State University, Ohio Wesleyan University, and Augustana University. The reps visited local schools to answer students’ questions regarding the application process, financial aid, and U.S. culture, etc. Click here to watch the highlights of the fall 2018 South Asia Tour.